Potatoes have been a side dish, and sometimes even the main dish, and there are so many variations. Some of the recipes are mine, and some from JAP members. Enjoy! 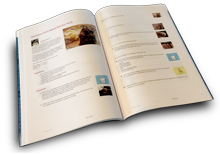 Hi Penny, thank you so much for including me in your great cookbook! You are welcome Sheila. Only the best in my books! I am glad this is a sharing site. I have only had one person be "upset" for using a recipe of hers without her permission. If anyone is making any cookbooks, be sure to get "special" permission from Melanie Brady for any of her recipes. Penny--thanks for including my Czech Potato Dumpling recipe in your cookbook! Thank you Ali! Potatoes are my most favorite sides, and I can no longer eat them, unless I leach out the potassium by soaking overnight in the fridge. I have CKD, but I still love potatotes! Penny! thanks so much for including my "mashy taters" recipe in your cookbook. yea!!! Book looks terrific.